Happy Birthday to your Dad!!! I hope he has a great day!!! Wow! My dad's birthday is tomorrow! I hope he has the sweetest birthday! Erica-that's funny! I hope he has a great one as well! 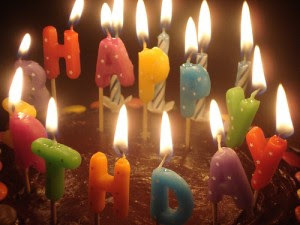 Great photo of birthday candles in your blog! Hope your father had a great birthday. hope he has a great day!! !